Ditto recently appeared in Pokémon GO. Now the trainers can legally and without modified game can catch this extraordinary Pokémon. If you caught it, the question arises whether Ditto is good for fighting or training in the arena. 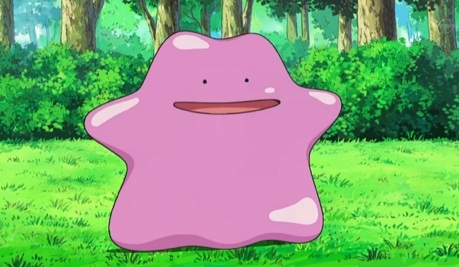 It is not easy to catch a ditto because it is camouflaged as another Pokémon. That is, any Pokémon could be a form of Ditto. This is an interesting trick from Niantic, because trainers no longer deal with the masses of Pidgey, but catch him again. There could be a Ditto behind it. Whether you're a real-time character translator, you'll find a wild Pokémon. Then it could turn into a ditto. In Arena battles, Ditto uses his shape change to take the form and attacks of another Pokémon. On the Pokémon GO website, the developers announced how unique a ditto interacts with arenas. If you train or fight with this Pokémon in the arena, Ditto will copy the appearance, type and movements of the first Pokémon against which it fights. These attributes don’t change, but remain for the rest of those arena battles. So, look for which Pokémon you are using your Ditto. If you are the first opponent to expect a Caterpie, but then Vaporeon and more powerful Pokémon are waiting for you, then you should use Ditto only after you defeated Caterpie.